Korchak-Chepurkivsky, Yurii [Корчак-Чепурківський, Юрій; Korčak-Čepurkivs'kyj, Jurij], b 15 December 1896 in Kishinev, Bessarabia, d 20 August 1967 in Kyiv. Demographer; son of Ovksentii Korchak-Chepurkivsky. A graduate of the Kyiv Institute of the National Economy (1922), while still a student he began working for the All-Ukrainian Academy of Sciences (VUAN) Demographic Institute. In 1925–8, he worked at the demographic department of the Central Statistical Administration of Ukraine. 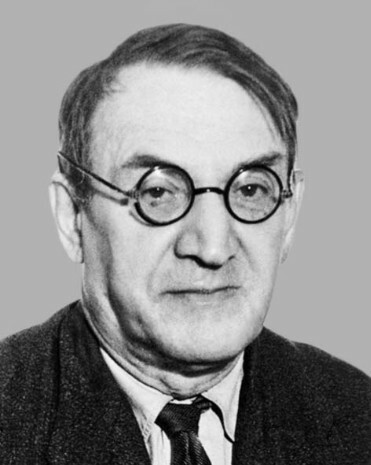 He became a scholarly associate of the VUAN Chair of Hygiene and Sanitation and institutes of Maternity Care and of Socialist Health Protection in 1928 and a senior associate of the Institute of Demography and Sanitation Statistics of the Academy of Sciences of the Ukrainian SSR in 1934. In 1938 the institute was closed down and its staff, including Korchak-Chepurkivsky, were arrested and imprisoned. After the Second World War Korchak-Chepurkivsky was allowed to set up and direct a methodological bureau of health statistics in Samarkand, Uzbekistan, and then to move to Moscow, where he worked in the statistical department of the Rusakov Children’s Hospital. He was permitted to retire in Kyiv in 1957. There he continued his research and published his invaluable theoretical and applied population studies. Korchak-Chepurkivsky’s studies on mortality among various age and occupational groups in Ukraine are particularly significant. He devised original research methods and determined the reliability of the statistical materials he used. His last work, which he did not manage to complete, was devoted to analyzing the losses in Ukraine’s population during the Famine-Genocide of 1932–3 and the Stalinist terror of the 1930s. A volume of his Izbrannye demograficheskie issledovaniia (Selected Demographic Studies) was published posthumously in 1970. His other major works are Materiialy sanitarnoï statystyky Ukraïny 1876–1914 rr. (Materials on the Sanitation Statistics of Ukraine in 1876–1914, 1926), Tablytsi dozhyvannia i spodivanoho zhyttia liudnosty USRR 1925–1926 (Tables of Life Spans and Life Expectancies of the Population of the Ukrainian SSR for 1925–1926, 1929), and Pryrodnyi rukh naselennia Ukraïny v 1926 rotsi (Natural Population Changes in Ukraine in 1926, 1929).